Shaftesbury's local driving school providing intensive driving courses in Shaftesbury and the surrounding areas of North Dorset. Hundreds of local driving test passes. 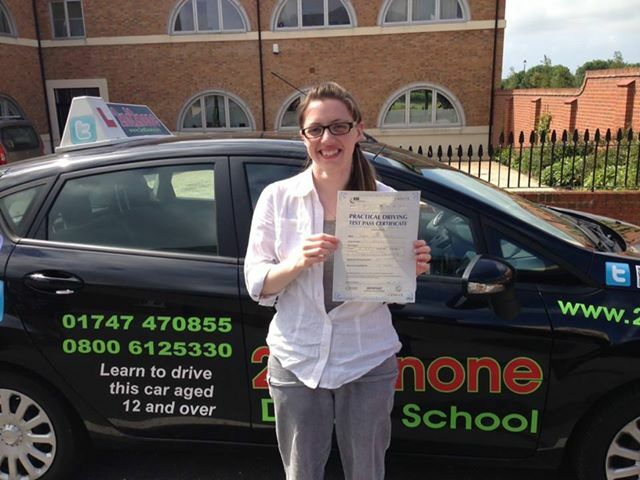 2nd2None Driving School are Shaftesbury's leading driving school when it comes to Intensive Driving Courses in Shaftesbury and the surrounding areas of North Dorset. Our team of local driving instructors are happy to offer you the choice of Salisbury, Yeovil, Dorchester, Poole and Westbury Driving Test Centres for your Intensive Driving Courses. Last year as a grand total, driving instructors from 2nd2None helped 304 people pass their driving test, over a year thats almost 6 driving test passes each week, and we have over 600 customer reviews right here on this website. Why wait months to pass your driving test with weekly driving lessons, when you can have it all done and out of the way in just a simpe week? Our Shaftesbury based customer service team have access to the DVSA Test Booking System that we monitor throughout the day, so our team can often get you a driving test and a One Week Intensive Driving Course with a Practical Driving Test Guaranteed at the end of your course at one of the local driving test centre in less time that the normal national wait. chance of passing your driving test first time. Our local driving instructors specialise in teaching pupils on intensive driving courses and have the skills needed to get you the results you want from your intensive driving course. All the intensive driving courses are run at 6 hours per day with two 30 minute breaks in the day. The prices below include your practical driving test and pick up and return from your home or another allocated address in or near Shaftesbury. You can take your driving test in the driving test centre of your choice. Your nearest driving test centres are Yeovil, Salisbury, Westbury, Trowbridge, Poole and Dorchester. Shaftesbury, Dorset today and get on the road to freedom and independence. Just passed my driving test first time with 2nd2none! Thank you for James for everything these past two weeks. I started driving when I was 17, but was so nervous that I decided to stop. Now age 22 I plucked up the courage to do it again, choosing the 42 hour course. A week later from the first day I was more confident than I've ever been driving! Thank you again James & 2nd2none!